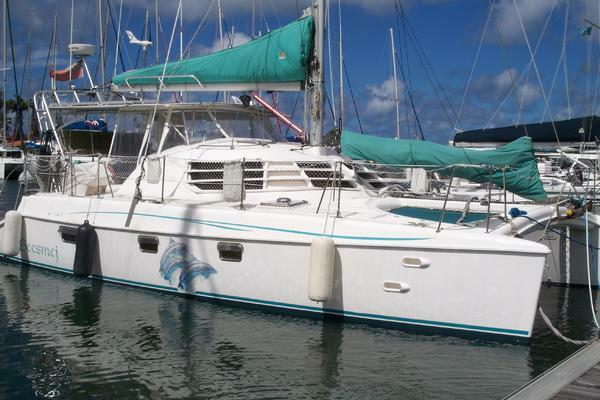 This 44 Manta Power Catamaran has been completely refit and is ready for Adventure. IVPlay is powered with the highly desirable and economical Volvo D4 225 HP engines. In late 2016 she was fitted with a New Epirb, Top of the line Garmin touchscreen navigation instrumentation with 72 mile open array radar, new KVH Satalite Tracvision TV . She is a serious trouble free and comfortable cruising boat for the Keys, Bahamas, Virgin Islands, or the more relaxed Great Circle Loop. IVPlay is Truly Turn Key Ready for Long Range Cruising. Her 3 cabin 2 heads layout with Fully Enclosed Cockpit, Fiberglass Hardtop, and Full Electronics Including; Autopilot, Radar Tri-data and a new state of the art Garmin navigation system to keep her crew safe and comfortable while cruising in style. This vessel is in Bristol condition inside and out. All the machinery spaces are clean and dry. Gelcoat has been consistently cleaned and detailed throughout the life of this vessel and it shows! The living areas are simple and spacious and with a touch of elegance everywhere you look. The openness in the Salon and Helm area make her seem like a much larger vessel. The wide walkways and high safety rails make it easy and safe for guests to transition from the cabin to the front deck and trampolines while underway. 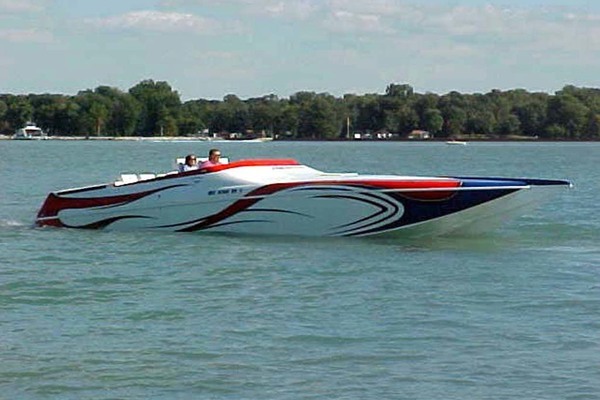 IVPlay has everything a luxury vessel needs to make cruising safe and enjoyable. 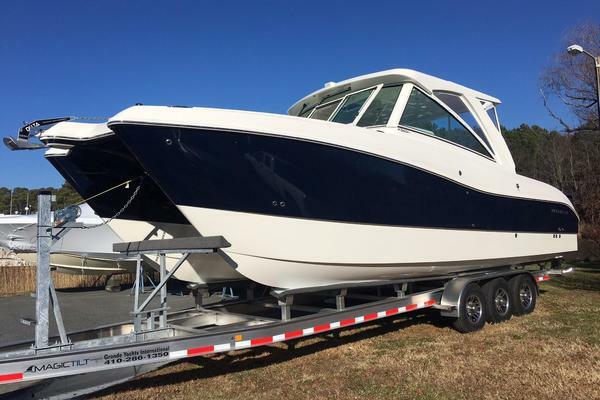 She has a top of the line Air Conditioned with a third unit dedicated to the helm area, upgraded oversized 12KW Phasor Marine Diesel Generator, an inverter, solar panels and all new House Battery Bank. The Full Galley is equipped with a Propane Oven/Stove and Microwave Oven. A Dingy Davit system is integrated into the Aft Deck that secures the dinghy. A dinghy davit was also added on the roof to fully secure the dinghy during passages. From the earliest planning staes these boats were designed to offer a cruising couple the space and comforts of a fine sea-going home with comfortable space for the occasional guest. They were never build for the charter trade. "IVPlay" sleeps six in three cabins. The Port Hull is the dedicated Owners Quarters with a queen berth, numerous hanging and clothes lockers aft and the forward section dedicated to a huge walk-in shower and separate head and vanity. The Starboard hull offers a Vip Queen berth aft also with ample hanging closet space and clothes drawers and shelves. Forward in the Starboard Hull is double berth. The walk through provides a separate shower, head and addition storage. A Combination washer and dryer and additional storage are located in the forward stateroom. The Spacious Salon provides and open 180+ degree view with comfortable seating for eight, an entertainment center, chart table and gourmets delight Galley.